Contrary to what some non-yogis might think, the yoga lifestyle isn’t all green smoothies and inner peace. 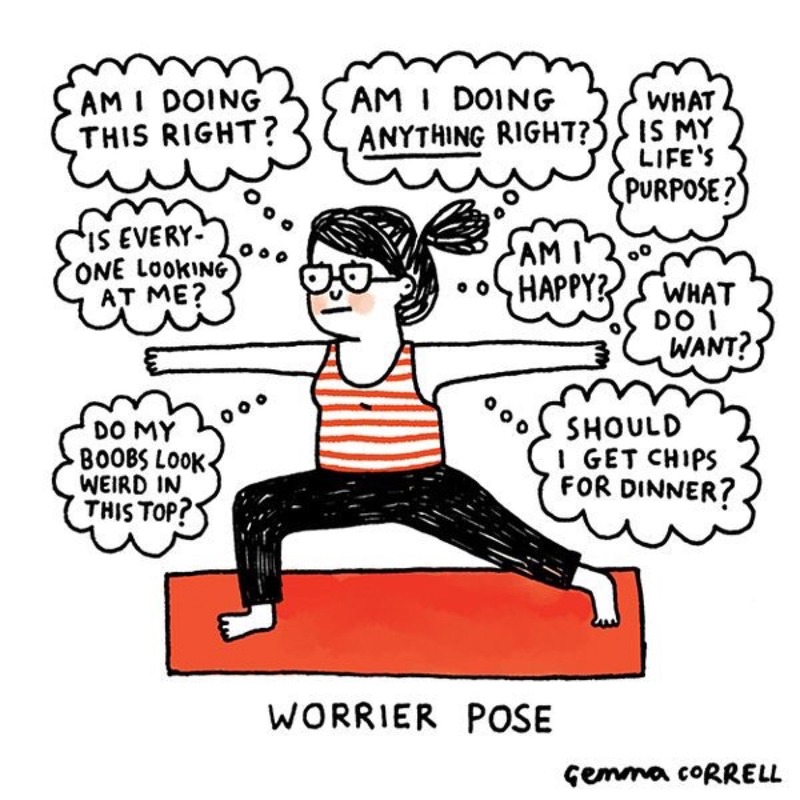 Just like any other aspect of life, practicing yoga leads to all kinds of awkward moments, frustrating setbacks, and embarrassing situations. The good news? 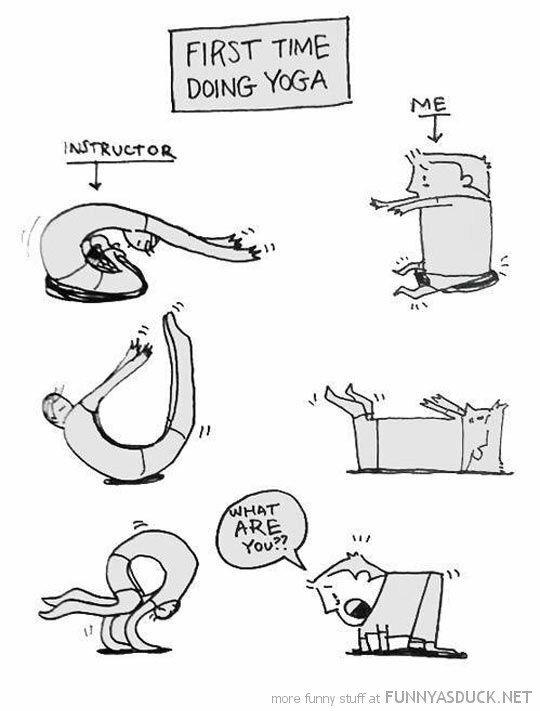 All those yoga fails make for some pretty hilarious comics. Maybe you’re an expert yogi. 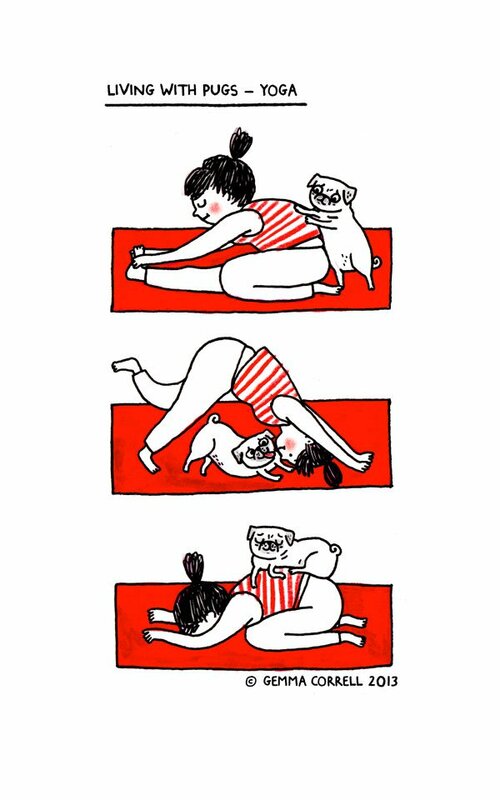 Maybe you can barely manage Downward Dog. 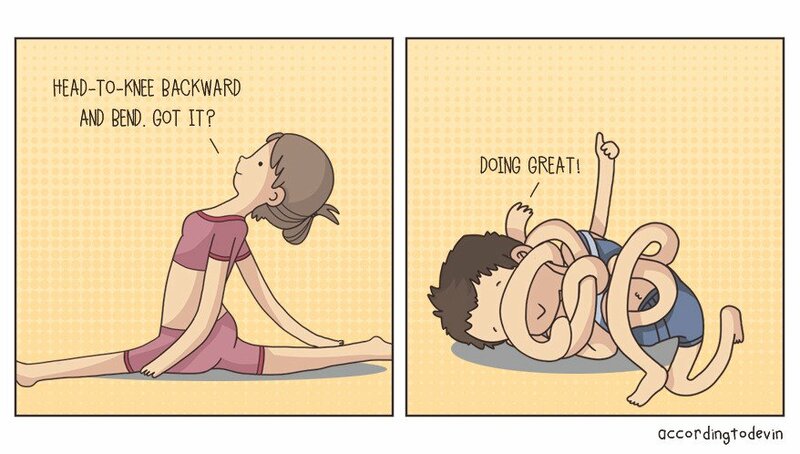 Either way, you’ll probably agree that when it comes to telling the truth, these funny comics about yoga are totally on point. 1. 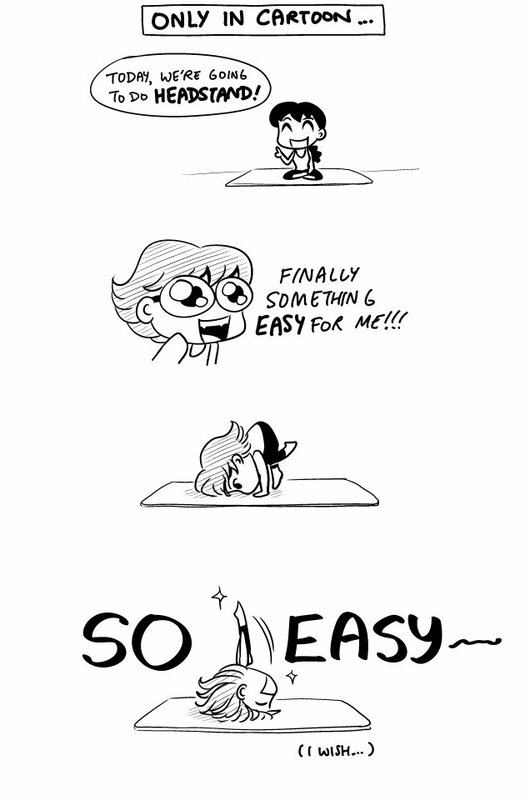 What it feels like when you first start practicing yoga. 2. Some yogis have a couple of big, um, challenges to work with. 3. Yoga instructor, or ultra-bendy alien species? 4. It’s hard to stay in the present when there’s pizza in the future. 5. You think you’re not flexible? At least you’re not this guy! 6. 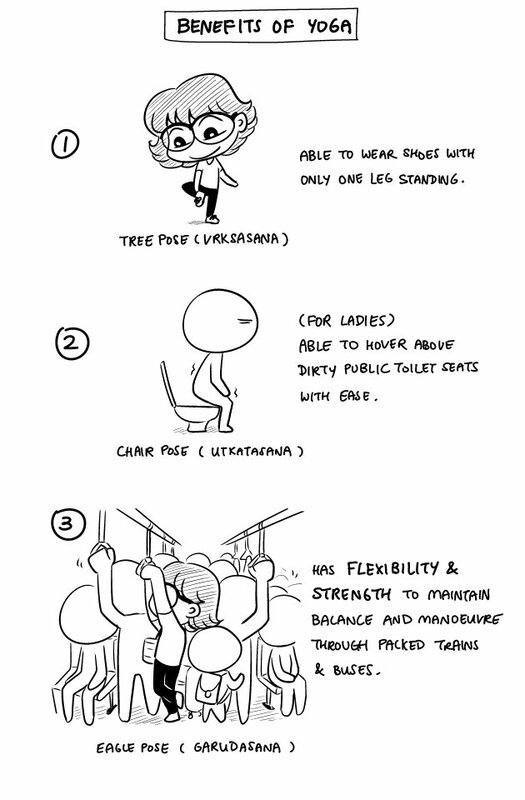 Yoga skills come in handy in more places than you’d think. 7. For when your practice feels extra fabulous. 8. Be honest. This has crossed your mind at least once. 9. If only it was that simple in real life. 10. 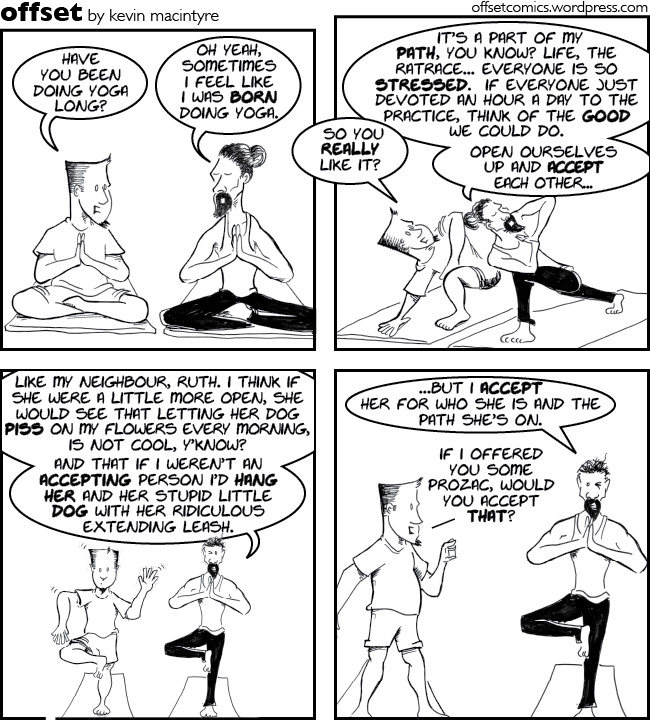 Well, they do say yoga is for everybody. 11. 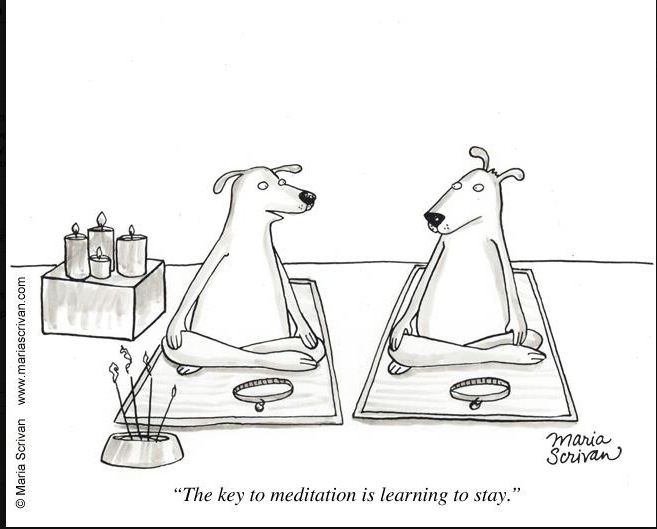 I hear this technique brings you extra inner peace. 12. Lest you think all yogis have the kindness and patience of saints. 13. That’s how it’s supposed to look, right? 14. 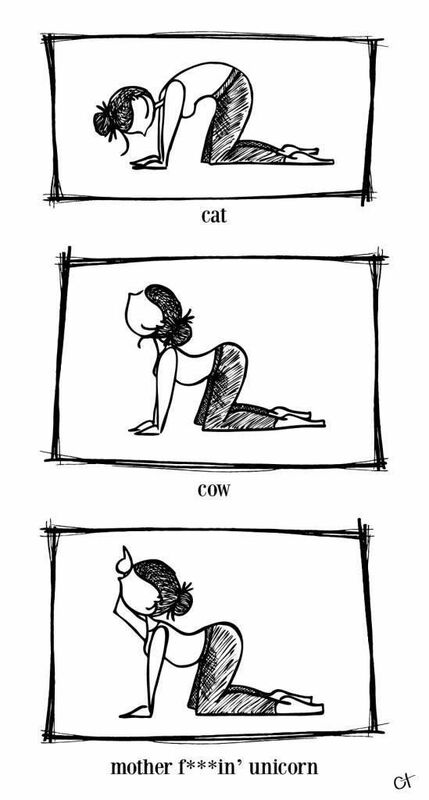 The cobra pose frame is extra real though. 15. 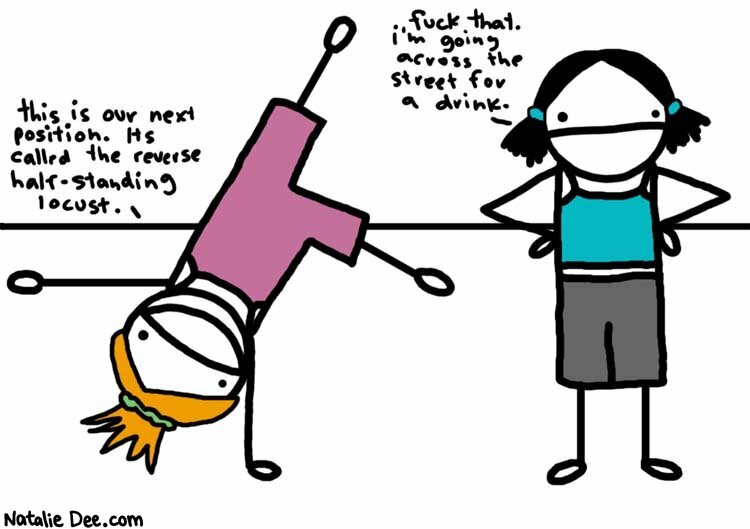 And this is why there’s such a thing as beer yoga. 16. Ah, finally, a pose that comes naturally! 17. Who’s a good yogi? 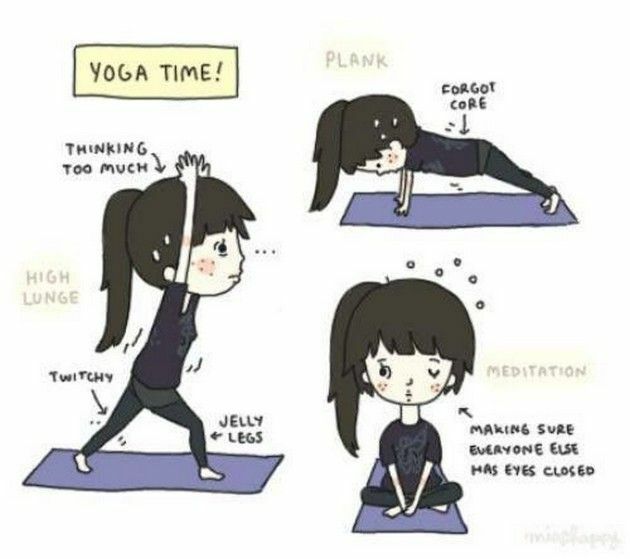 You’re a good yogi! 18. This is literally every yogi ever. 19. The (pug) struggle is real. 20. 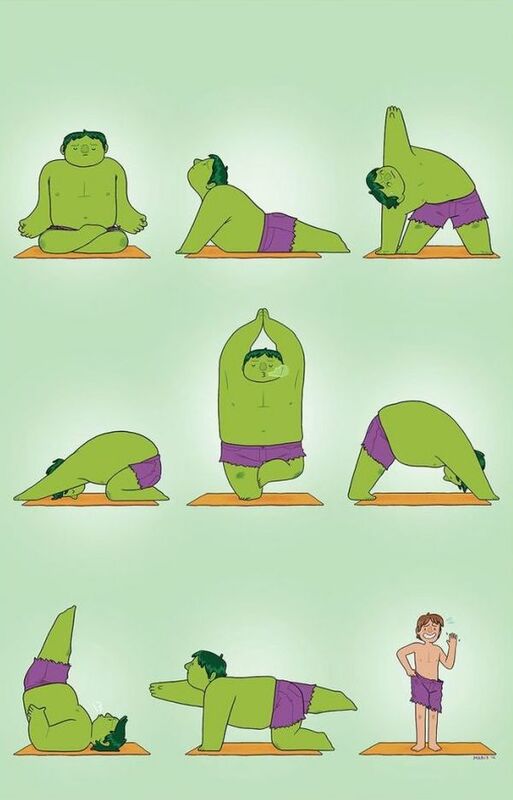 Hey, if yoga works for this guy, it can work for you. So, what do you think? 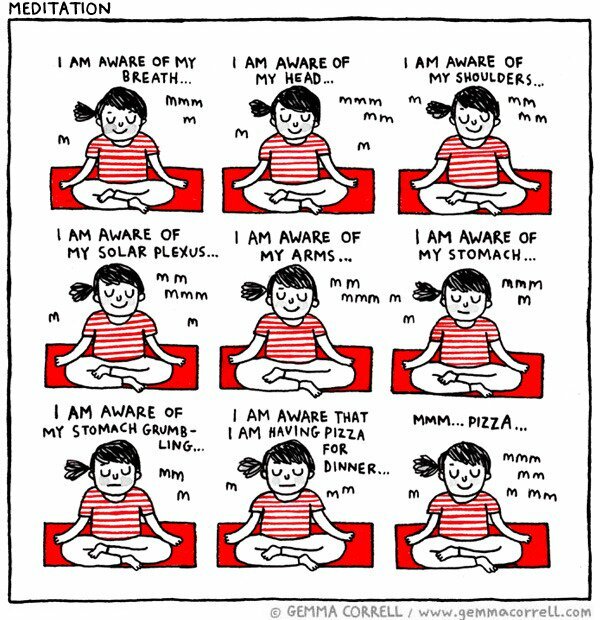 Are these yoga comics accurate or what? Tag a friend who gets it!